Villa La Estancia Riviera Nayarit was the chosen getaway for Mike Colter, the lead in the original Netflix series based on the Marvel Comics storyline. 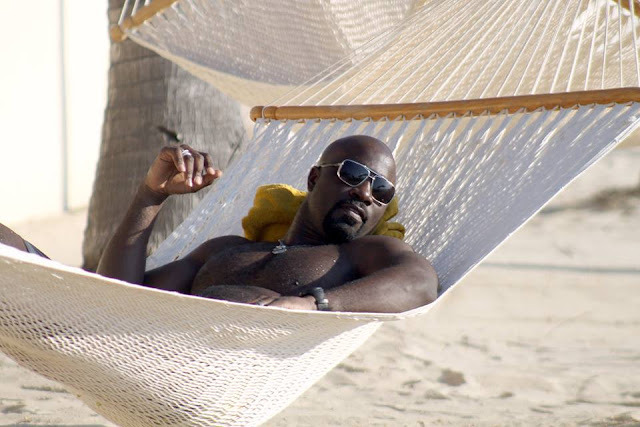 US actor Mike Randal Colter, the lead in the Netflix original series Marvel’s Luke Cage, vacationed in the Riviera Nayarit last week. The South Carolina native spent a few relaxing and romantic days there with his wife, Iva Colter. The Luke Cage series already has more than half a million followers on its Facebook page, while Netflix has over 28 million followers on that same platform, numbers that will no doubt benefit the exposure for the Riviera Nayarit within its natural markets. The Villa La Estancia Riviera Nayarit, located in the Condominio Maestro Flamingos, published photos of the actor’s visit with his wife on its Facebook page: https://www.facebook.com/villalaestanciavallartanayarit/posts/1246940648698274. The “Luke Cage” character was born in the 70s as “Power Man” and created by Marvel Comics. After several reinventions it continued to gain notoriety to the point where he’s now part of The Avengers. Villa La Estancia Riviera Nayarit has been one of the resorts within the Destination that has welcomed the most celebrities in recent years. One example is Krysten Ritter, the protagonist of another Marvel Netflix series, Jessica Jones, who has visited on more than one occasion together with her friend, actress Angelique Cabral. Other US actresses who have stayed at Villa La Estancia include Kaitlin Doubleday, Perrey Reeves and Charlotte Ross. Paige VanZant, an American mixed martial arts fighter, stayed there as well. Visiting celebrities also include some of the well-known chefs who attended the Cuisine of the Sun event headed by Chef Penny Davidi with special guest, actor Dennis Haysbert.